People often ask where my ideas and where my knowledge comes from. When that happens, I chuckle a bit to myself because just like the person asking, my knowledge comes from a variety of sources: first hand experience, books, online forums and of course, Backdoor Survival readers. So you see, it is not that I am smarter or more clever than everyone else but rather that I have taken my passion for preparedness and made it an active part of my life. That leads me to the topic for today’s article. Following my own article on Five Minute Prepping Projects, I asked readers to submit their own tips – namely something that we all can do to prep that takes 10 minutes or less. There were some really good suggestions and so I thought I would share some of them here so that everyone can learn from them. 3 Need something from Amazon (and who doesn’t)? 1. There are many times when trouble strikes and we have to deal with only what we have on our person and in our pockets. A BOB is a luxury that might not be with us when the unexpected comes along, so I like to make sure I have a minimum of things on me before I leave the house even for a trip to the grocery. I can carry all of that in jeans or short pockets no problem, and its amazing how handy I find each of those items to be in day to day activities. In an emergency they could really make a difference. 2. The most important thing to have in a survival situation is water. The ten minute thing I did was to buy extensions for the gutter down spout. At the time I put them in I had a back yard above ground pool. Kids all gone now, pool gone, but I now have 10 55 gallon barrels. 3. Check your supplies and rotate them out as the expiration date comes due. Stock the foods you like, because if you don’t like a certain food, you won’t eat it. 4. I like to can water after using my canning jars in the winter. I then have good water if the electricity goes down and also if there is a drought in the summer, I will have water for canning. 5. My 10 minute prepping tip is to save all of your dryer lint in a zip food bag. Squeeze it down, roll it up and place it in your bug out kit. 6. My very first prepping project was getting a plastic tote box ready for myself for the vehicle. I went by the list in the book “Survival Mom” so it is packed full with a little extra than a BOB. Then my very next priority was another box fixed up for my mother who is 86 years old. She still drives and either she or someone else will be able to help with this very good vehicle emergency box. Survival is a daily challenge in northern WI. 7. The every three month 10 minute prep activity I do religiously is rotate my prescription meds. I have two weeks in my purse, 3 days in my 72 hour kit, 3 days in my car kit, and 3 days in my comprehensive medical kit. If it takes you longer than ten minutes to do this, you need to practice knowing where all these items are stashed! 8. The10 min DIY water distillery: Using two, one liter clear soda bottles. Put 1/4 inch holes in both caps, insert 1/4 inch clear tubing thru each cap and down into each bottle (about 5-7 feet of tubing). Secure each cap onto bottles. Fill one 3/4 with water you want to distill, bring tubing about 1/2 inch from top. place in sunlight. Bring the tubing to the bottom of other bottle and place it in shade. As the sun heats up the water and the water goes into a gas, expanding and going into the bottle in shade, it cools down and turns back into water, filling the bottle in shade, with clear drinkable water. This can also be used to remove salt from saltwater. Place a black band of tape around the input bottle, making sure not to mix them up. 9. Rinse out used soda bottles and fill with water. Save them for when the water is turned off or long term storage. 10. Dip cotton balls in petroleum jelly and put in a baggie or small plastic container (recycle old pill bottles) for your bug out bag. These make great fire starters and they burn long and hot. 11. My 10 minute tip: pack a small ‘emergency’ kit for your purse/pocket that you carry every day. Items to include *could* be a small flashlight (some LED ones are very tiny & bright), a few bandages, a BIC-type lighter, pocket knife, safety pins, pencil/pen, small notebook/Post-It notepad, paperclip, a paracord ‘survival’ bracelet, printable pamphlet of survival ‘tips’ (several available on the internet). Visit your local Red Cross for preparedness tips for your area. Often they have TONS of FREE information specific to your location to help families prepare BEFORE a problem arises. 12. Take quick check of your food supply, once a storm catches you by surprise, it’s too late, and it only takes a few minutes to make a quick list of the basic canned goods that you need to replace, better safe than sorry! 13. We all probably think that our BOB has what we need in it and maybe it does. Take a quick look in it and see if there is some place to add a little easy redundancy, remembering that three is one and one is none. I took a Ziploc bag and put in it: a small candle, a pill vial with Vaseline in it, another pill vial stuffed with dryer lint, a disposable lighter and a magnifying glass. Easy to do and now I have several ways to start a fire in addition to the matches and the fire steel already in the bag without adding even a pound to the weight of the bag. I know there are a lot of other easy additions that can increase redundancy in all of our bags. 14. Never be without toilet paper. Put 4 rolls in 2 gallon Ziplocs and put 1 bag in each car, one in the garage, one under each sink in the house. That way, regardless of what disaster occurs – TP will be there. 15. Take ten minutes a day or even a week and learn how to use the things you have been accumulating for emergencies. This month I have been using the solar oven and rocket stove. Much easier to use the fifth time than the first. 16. Buy a large bottle of 5 to 10-percent iodine solution and transfer into those small, handy travel spray containers. Put one in each first aid kit in each bug-out bag. Besides being a disinfectant and medical treatment of cuts, a few drops per liter will purify water as well as keep thyroid function humming along in the absence of iodized salt. 17. Not a total of 10 minutes, but a great prep tip I have is to buy extra lumber, fasteners, nails, whenever you have a DIY project, and save the extra in your new “Mini-Lumberyard”! 18. Arrange to have a prepping partner call you randomly during the week and give you a surprise emergency drill of some kind. You have ten minutes to begin responding. Next week, return the favor. 19. Carry a small bottle of iodine and a small bottle of bleach with you in your bug out bag in the event you have to drink questionable water in your travels. Just add a bit to your canteen, shake it and let it be for a while and you are good to go. They have iodine pills but, take it from me being ex military; they taste bad but with this method it will do the job better and the water will not taste that bad. 20. Weigh your BOB. Put it on and carry it around the house. How long can you go without stopping? If it is too heavy which it is likely to be, here are a couple of things that you might consider doing: 1..Pack a half dozen of those freebie cloth satchels with handles in with the BOB. This way depending on how many people may be with you when you actually need to pack the BOB you can distribute the weight among everyone. 21. Make a list of the most important items to take with you if you are alone and safety pin that to the top of the BOB. In a real emergency you will not have time to think it through and you are likely to be too stressed to make the right choices. If alone, you must keep the weight down to a poundage that you can carry for long term. 22. I think my favorite quick prep is making a waterproof match container out of a mason jar. Glue a piece of sandpaper to the lid, fill the jar with stick matches, add a candle, tighten down the ring and there you have it. I’m sure the same could be done with a plastic jar if you’re worried about breakage but I like the decorative little mason jars spread around the house. I took the time to waterproof my matches but I don’t believe that’s necessary. 23. I take 10 minutes on Mondays to do a quick check of my food storage to make sure I add needed items to the grocery list. This keeps things pretty up-to-date for me. 24. Keep a running inventory of ammunition so you keep a good assortment on hand and track what you use. A little extra can be good for barter. 25. Most of us have items that use batteries. Flashlights, radios, etc. I have a laminated list of the items that I keep in my prep, with a section just for things that need to be rotated. Quarterly, I grab the rotation list and swap out old batteries for new. The batteries I take out of my prep kit are usually still good, so I put them into use in normal, everyday equipment. It takes almost no time, and makes sure I have good batteries everywhere I need them, not just my prep kit. 26. Every time I go to the grocery store, I add an extra $10 of items for my food storage. 27. Make a small fishing kit, cheap and easy. Take a small tin (preferably a round candy mint tin). Add fishing line, hooks, sinkers, small artificial bait and a couple of snubbers. (A snubber is a piece of surgical tubing with fishing line going down the center and clasps on each end to tie your fishing line to. You can pick this up at most any store that sells fishing gear). If you need to use your fishing kit and do not have a breakdown or telescoping fishing pole you will probably be using a branch. A branch will not have the same flexibility as a fishing pole. Tie your fishing line to the end of your flexible branch (the length of line will be determined by your situation). Tie the other end to your snubber. On the other end of your snubber tie your leader (about 18″ to 24″ of fishing line) then tie on your hook. Add your sinker to the fishing line on the pole / branch side of the snubber about 12″ from the snubber. Add bait and you are set. I have added the snubbers to my kit, because it acts like a shock absorber when you have a fish on the line. This has helped me to land the fish and not break off the hook or line due to not having the flexibility of a proper fishing pole. 28. I’ve been through two hurricanes here on the Gulf coast in recent years. Water, all you can reasonably store, is a must, along with some way to purify it if need be. I’ve carried a pocket knife for more years than I can remember, and in recent years I’ve started carrying a multi-tool. I always have a roll of toilet paper inside a zip-lock bag under the back seat of my truck. I also save dryer lint to use as tinder. 29. Gather up a few cans of veggies, fruits, and meats along with a jar of peanut butter. Store in your vehicle (under seat, in trunk) Throw in a “good” manual can opener or something strong enough to cut the lid in emergency. Can be eaten without heating or cooking. 30. Freeze and store milk in its container. I have been doing it for years with two pint semi-skimmed milk ones, full fat (cream) is not so good as the fat separates when defrosted. These have been handy already in extended power cuts as the freezer keeps cold, as does the fridge if you put a frozen one on the top shelf. It takes about twelve hours to defrost at 60F and the frozen milk lasts indefinitely in my experience, although I still rotate. 31. Get a caravan size chemical toilet and some Elsan Blue or Eco Green fluid as well for when there’s no sanitation or main water to flush the loo. This is one essential that is often overlooked. 32. You can fix up a go-bag a few moments at time by leaving it open in a place you will see it (I myself am an out-of-sight-out-of-mind person), say a corner of the kitchen, and dropping in the things you want to have at the ready. On laundry day, drop in clean socks and undies. On grocery day, buy a few easy to eat nibbles (that you like) – tuna in a pouch, nuts, dry fruit, plus a bottle of water and drop them in the bag. Make a list of other things you need to think about: first aid kit, flashlight, etc. As you go to the hardware store, purchase these things, drop them in the bag when you get home. This is your basic backpack which you can modify according to your needs (weather, for instance). 33. Place a pair of shoes, socks, work gloves, a whistle, and a light stick or flashlight with batteries under your bed for use during or after an emergency. Add to this a mobile phone to call for assistance, spare house and car keys in case you have to get out of the house from an upstairs window and need to get back inside to put out small fires safely with extinguishers you have placed at door exits. I also have a spare set of old clothes, shoes and a blanket packed in a suitcase in the caravan in the garden along with an emergency supply of bottled water and food in pull tab tins. A dry shed or outhouse would suffice for this no doubt. 34. Unless your home is 100% all electric, get a carbon monoxide alarm if you don’t already have one. And even then it’s not a bad idea as in an emergency you may want to use a propane device, and it’ll hopefully keep you from dying from the CO.
35. Stock up on calcium chloride ice melt. Get a 50# bag and fill the empty milk jugs with it. Keep one jug in each car. 36. Hurricane matches. Get a bunch. They aren’t cheap, but they’re the best. 37. GMRS/FRS radio. Regular CBs can become clogged with radio traffic. A good brand can also provide encryption so you can have private discussion with family. Depending on the make and model, it may come with frequencies that require a license. In emergencies I doubt the FCC will chase you down. And in regular times, I doubt they will chase you down if you’re not being obnoxious. 38. In addition to a flash drive, open a free “cloud” service account, many of which will give you 5-10 gigabytes of storage. An alternative to that would be to open up a new e-mail account, on Yahoo/Gmail/etc, and e-mail the documents to yourself. Unsure of what to make for a new username for an e-mail account? Take your first name + “documents” (i.e. “BillDocuments”), and use your last name as the password. This way, if your house (and flash drive) are lost in a tornado/earthquake/fire/etc, you can still access those documents from, say, a public library computer. 39. Another tip along with freezing jugs with water to place in the freezer, is to fill a 2 liter bottle about 1/3 full. Freeze it upright, then lay it on its side. If you come home from vacation, and the water is frozen at the bottom (sideways) in the bottle then the power was off long enough that the food may have spoiled. I have always maintained that Backdoor Survival readers are the most creative and resourceful folks on the internet when it comes to basic, common sense preparedness. No fear mongering types here – just ordinary folks doing their best to take care of themselves, their families and their comfort and safety, no matter what happens down the road. Bargain Bin: A number of these items are mentioned by Backdoor Survival readers in today’s article. 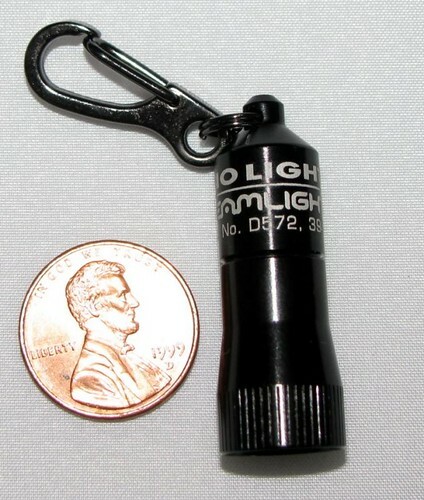 Streamlight Nano Light Keychain LED Flashlight: Extremely small and light weight yet it will throw off a decent amount of super-bright light. At just .36 ounces and 1.47 inches long, the Streamlight Nano Light Keychain Flashlight will take up a minimum of space in your pocket or bag. Paracord Survival Bracelet : Why a Paracord Bracelet? So you always have some of this useful cord on your person! Pepper Spray: It is always good to have some form of defense that will temporarily halt a bad guy that is in your face. Emergency Mylar Thermal Blankets: These come in compressed packets small enough to fit in a pocket or wallet. You will be surprised at how warm these will keep you. 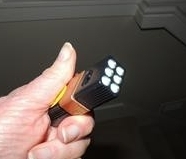 Blocklite Mini Compact Size Ultra Bright 9V LED Flashlight : One of my readers (James) turned me on to the Blocklite. I now own four. There is a similar flashlight called the Pak-Lite (which is more expensive) but it does not have a high-low switch like this one. Less than $10. Survival Mom: How to Prepare Your Family for Everyday Disasters and Worst-Case Scenarios : This book covers the basics of prepping including food storage, water purification, financial and medical preparedness and communication during a crisis. It goes beyond the basics, however, with the addition of charts, checklists and worksheets to help you stay organized in your preparedness efforts. I believe I had heard of that method in passing but had never been to the website which has lots of documentation. I do want to check this out a bit more just to be sure it is safe. Darn, I wish I could remember where I heard about this. I know the manager of our local waterworks company – perhaps he can help. Thanks for the heads-up. I like being your number one “go to girl”! I read this great article about treating water when you have nothing. The author explains how to purify water with the sun! but are they food-grade plastic? Pretty sure they aren’t food safe, but I do the same thing. This will be the water I can use for cleaning and bathing without feeling like I’m using my drinking water. So these are safe for drinking water? No. These are good for water for washing bodies or floors etc, not for anything being ingested (drinking, dishes.) I’ve used them to hold water and the litter is so dusty and gets embedded in the plastic of the jug I won’t even use them with a filter, don’t want to waste the filter. I would ask family or friends to save the food grade jugs, especially opaque ones for juice etc and use those for drinking/toothbrushing/bathing. Just a note to your readers, another thing to add to your stocks, is a couple of small kiddie pools (I like the inflatable ones but I have little space in our house.) You can get between 1/2 gallon to a couple of gallons per pool from rain (not off roof.) Lay out 3 – 5 pools (depending on space) and in all but the driest places, you can be sure to get drinking water. The thing is square footage, height above 3 inches doesn’t matter. IF you want to use your roof, there are flush first that are made to dump the first 1 – 10 gallons of the runoff so you don’t get all the ‘fresh’ bird poo and loose roofing tile materials. If you are planning on filtering every drop of water, these are less needed. Great tips. Another idea for your key chain is a seat belt cutter with window punch. Never know when they may be needed and go great with the flashlight and still fit easily in one’s shorts. Interesting that when this article came out, the blocklite you mentioned was listed by Amazon as $4.89 per unit. Today I checked and it is now $8.99. Looks like your article pumped up interest and they decided to take advantage. They also changed the photo illustrating the device. At less than $5 I would have bought several but not for $9. Duane – The $4.89 price must have been very short term. I own 4 and paid $9.95 each so even $8.99 is good. The Pak-lite is even more and does not have the high low switch. The Block-lite runs for hours and hours on recharged alkaline batteries coming out of my smoke detectors (where I always use new, not recharged) batteries. If someone find the Blocklite for less than $5.00 buy a bunch! That is a deal. Thanks for this list…very thorough and I’ve got at least ten new things to add to my list of future preps! My only caveat would be that I think it’s a bad idea to set up your email account with your first name and then have your last name as password. That’s pretty easy to hack, and then someone has access to your personal documents. If you must make your account your first name + “documents,” I’d suggest a strong password to protect your personal info. I’m still amazed folks use expiration dates and use by dates. I am using many products with use by dates and expiration dates past by YEARS!!! Folks, those dates are not for your use–it’s liability for the manufacturer. Don’t believe me?? Do your own research. If you have more than one vehicle, don’t forget to have supplies in ALL. I just got together a 3-day bag for my little new/old RANGER. Regarding water, don’t forget Pool Shock for purification; 1 lb. bag for $4 purifies thousands of gallons. Saturating cotton balls with alcohol sealed in ziplok also gives a great firestarter–my test product burned for 15 minutes. They remain in a tin can im my car with other prep items. They have iodine pills; they taste bad. Carry vitamin C powder (Tang) in a small sour cream container. Matches fit perfectly in some plastic prescription bottles and water proof. I tested them. A toilet can be made with a 5 gallon bucket and don’t forget heavy duty trash bags. Don’t have a lid? Use your bathroom toilet lids. Noted your info about the sale on 100 hour candles. I appreciate all of your sale notices. Usually I use nighttime for sleep. No sun, sleep. That’s easy. Sometimes there are needs for some lighting though. The thing that works for me is an inexpensive solar yard light — usually about $1.50 each. I put them in the sun in the AM and bring them inside at night for some illumination around the ‘cave’. If I really need to read something, I can do it with one of these lights. Add a few and we can play a game of checkers or whatever. They can stand alone if you pop off the part to stick in the dirt. Another thing is to make a simple base with sand in a coffee can or a hole in a piece of wood. Excellent posting for the “39 . . . Tips.” I offer a variation for #39 on freezing a jug of water as a power outage detector. Use a one liter (saves space) water bottle, fill it one third full, freeze it on its side, and then once frozen stand it upright. Perhaps easier to detect any small melt volume. Cheers. You run a very informative site. Thank you for that. Tip #2 bothers me because I have never heard of using rain water for anything other than watering your garden. I hope the reader understands how many contaminants come off the roof in the water they are storing. That water needs to be filtered and disinfected. And if the barrels were food grade, they’re not now. The SODIS method was developed for third world countries. It requires time and a lot of direct sunlight. It has not been featured on survival/prep sites for those reasons. However, if it fits your climate, it does work. Check out your entry # 22; matches; Do they light when rubbed against the sandpaper ?? I would venture to guess that they WILL NOT light because striking on a rough surface is only a Part of the process, the other part is that the match head is made of one material, and the ‘strike on Box’ scratch surface is composed of other materials that must be rubbed or otherwise mixed together in order to produce a chemical reaction which results in a flame. STRIKING YOUR MATCHES ON SANDPAPER WILL NOT WORK !! 3), 20–40% of siliceous filler,diatomite, and glue. Some heads contain antimony(III) sulfide to make them burn more vigorously. Safety matches ignite due to the extreme reactivity of phosphorus with the potassium chlorate in the match head. When the match is struck the phosphorus and chlorate mix in a small amount forming something akin to the explosive Armstrong’s mixture which ignites due to the friction. We do number 22 (candle/matches in jars) but we buy the jars with handles, whenever we see them, and we add a small BIC type lighter to the jar too! Matches are great, and usually work fine, but JUST IN CASE…we like to have a lighter TOO! Oh yeah, you can use an emery board instead of sandpaper, if you need something to fit in a smaller area (like a pill bottle, etcetera). My gf had a bad habit of pushing leftovers and other junk into the back of the fridge, lingering there for weeks before we found them and threw them out. I got tired of that, and decided to kill 2 birds with one stone. Everytime we emptied a milk jug I would clean it thouroughly with a little bleach water, rinse it out, and then fill it with clean water. I put these all along the back side of the fridge, so only the front 1/2 of the fridge could be used. This forced a few things … 1) we have an emergency water supply if we need it. 2) she can no longer push old food into the back and disregard it (we now see it and eat it, because we can’t store it), 3) it keeps the fridge full and thus lowers the electric bill since the water jugs act as heat sinks. Another tip is to toss water jugs like that in a backpack to do your daily walk. Folks make elaborate bug-out bags, but they don’t train to haul them. By doing a daily walk while hauling 2-3 milk jugs filled with water in a backpack you will be more than prepared to haul a slightly-heavy BOB if the need arises. Please be mindful that milk jugs are not very sturdy and also, even with a bleach wash, may not be totally clean. I suggest that as you can, you swap them out with empty soda or juice jugs or even mason jars. Other than that, what a great idea. My husband, Shelly, also pushes leftovers to the back of the fridge. I find them growing vegetation weeks later. what is the saving of the dryer lint for? Dryer lint is an effective fire starter. It ignites immediately! How do you can your jars with water? My girlfriend and I grow our own veggies every year here in Alpena Michigan. We have canned for years and also put up 20 quarts at a time of chili and soups. We dry herbs, save seeds, and have 2 5o gallon tubs for gutter downspouts. Family here hunts, so we have ample meat in freezer and canned, plus we are a block from lake Huron, so water isnt really an issue. What else should we focus on? Getting a genny this year, and have wood and propane back ups for grill and firepit……thoughts? Thank you for thissite and luck to you and yours. Steven – Excellent! Two things you did not mention are water purification supplies (filters, bleach, pool shock, for example) and also sanitation supplies. Also, don’t forget amusements to keep your mind occupied when the grid goes down. Thank you Gaye and great ideas, will do toot sweet. We do have games at the read such as chess,backgammon, Othello, monopoly, life and others. Have lots of bleach but filters is something I didn’t think about. Thank you and best wishes to you and yours. Another question for anyone who may have knowledge…should we create a makeshift Faraday cage for our generator? I’ve heard that even just wrapping the box it came in with layers of aluminum foil is enough. Thank you again. Gaye, as a newbie prepper would you mind if I comment on things I’m learning as I go? Your site is the first I’ve seen that is open to people sharing ideas. Oh my gosh, of course, Steve. I have learned a lot of what I know from others and actually encourage readers to share their experiences and their ideas. Thank you so much Gaye. Just went to local IGA today and they had cans of beans, corn, tomatoes,spinach and others for dirt cheap, like 20 cents a can……….look for these sales in your comunity, bought 8 flats of grub for $20…..worth it friends. Gaye, I read mixing dryer lint with a dab of Vasoline catches a spark better and holds the flame. Ever tried that? In your jeans pocket carry Fresh Burst Oral Care strips in Pocket packs , your mouth feel cleaner. Also Add to Toilet Paper bag Baby Wipes and Hand Sanitizer. Make yourself feel clean all over. A mistake many beginners make is to think that prepping has to be expensive. It’s all about priorities, really. Would I pass up my morning latte? Not buy those chips that are bad for my health anyways? All I needed to come up with when I started was an extra $5 a week, that’s all. I think just about everybody can come up with that much cash, don’t you? I had always loved going to the dollar store and Goodwill. Now I took it to the next level and started prepping on the cheap with a vengeance. Visited a dollar store lately? It’s not just cheap trinkets or flimsy items that will break when you breathe on them. Most of them actually have a surprising number of stuff that we preppers can use. For example, you can pick up rice, beans, oats, and pasta all for a buck a bag. For your five dollars, you will get a good head start on your long term food supply. By the end of three months, you should have a pretty good stock of dry goods in your pantry, for probably less than $75 total. Not sure if people have a Gordons Foods near them, but one item we all need and you can buy by the case there is vinegar. Vinegar is a cleanser and a seasoning and can help preserve food. Buy cases of various kinds……will not go bad. Try and be productive when commenting instead of trolling. There is no reason everyone can’t be prepared and not have to “Look for” those who are. Be proactive in your OWN life and read some tips here, lots of good, easy, cheap ideas for free. Good luck. – a wood gasifier of at least 4kW capacity to provide electricity. A small wind turbine would be OK as well, although the intermittency means you should have a backup. Solar may not be an option, depending on the nature of the catastrophe. (You may be without sunlight for months or even longer in some circumstances). Never barter ammunition. It can be used against you! I like the idea of prepping in 10 min portions. So many times we feel it is an overwhelming project, but ten min isn’t overwhelming at all. Thanks for the list! About once a week I stop in the Dollar Tree and check out their canned goods. They often have some name brands I like. I spend $2.00 a week, in a year you will have 104 cans of food. I find it a economically painless way to stock up. I’m sure others are doing this also.